BlackBerry launched its long-awaited 'Classic' yesterday, a "no-nonsense" smartphone the company hopes to use as a last-ditch effort to win back market share and its old-school keyboard loyalists, reports the BBC. The device will sport a full QWERTY keyboard, the "tool belt" trackpad and dedicated answer call, end call, menu and back keys. Its design largely resembles BlackBerry's once wildly popular Bold and Curve handsets which made the company a market leader before it was overtaken by smartphone touchscreen-input-only rivals. The Classic will feature a 3.5-inch touch screen, in addition to 'long' battery life, access to Amazon's Android App store, a more fluid UI compared to when the company first introduced its BlackBerry OS 10, and a browser three times faster than the one on its legacy devices. BlackBerry is said to be going "back to its roots" at a time when most OEMs and smartphone customers have embraced touch screen handsets, in a bid to appeal to business users, its core customers. The company commanded a nearly 50 per cent market share in the US as recently as 2009, though its delay in overhauling its OS and hardware to compete with rivals has left it to only holding a small fraction of the smartphone market now. 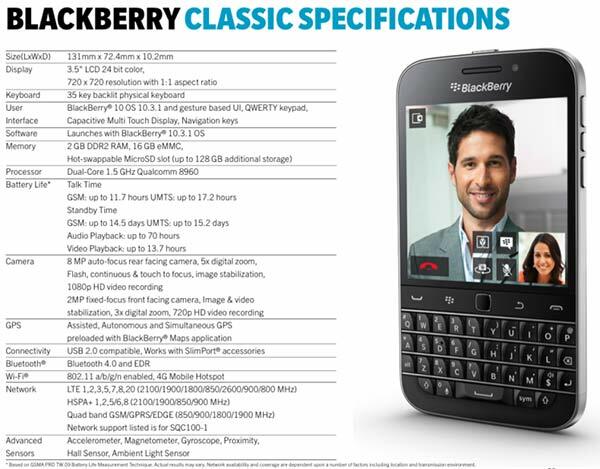 Nevertheless, the classic BlackBerry design has always held a device category all of its own, and no doubt some users are still longing for that familiarity. Under the hood, the Classic is powered by a dual-core 1.5GHz Qualcomm Snapdragon CPU, 2GB of RAM, 16GB of storage which is expandable via microSD up to 128GB, and G/LTE, Wi-Fi 802.11 a/b/g/n and Bluetooth 4 LE connectivity options. Its 294ppi display is far less sharp than the 453ppi of the Passport, but the company places emphasis on battery life and security of the device. 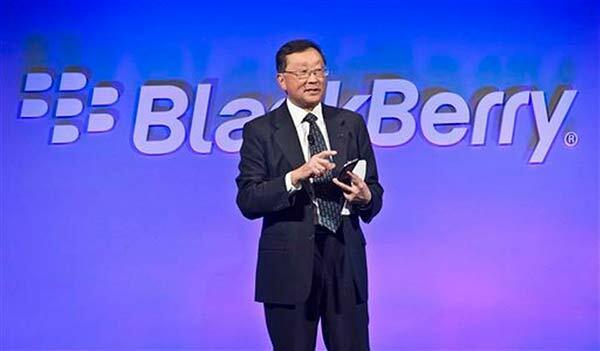 "The conversation about BlackBerry has changed in the last year," Chief Executive John Chen said during the launch event of the Classic, at Manhattan's upscale Cipriani restaurant. "We are here to stay, there is no question about that. Now we have to engineer our growth." However, there are voices of concern over the firm's tactics, suggesting that while it would help retain business, it may not necessarily attract new users. "This is more about avoiding more people leaving than necessarily winning many over," said Carolina Milanesi, an analyst for Kantar Worldpanel. "I have a hard time thinking that people who grew up on touch[screens] will see this as an exciting 'retro' trend and embrace it." "I invite a lot of people who haven't used BlackBerry before to have a try at it," Chen said, in a way acknowledging that the device's main intentions are to cater to diehard BlackBerry users. "I think you'll like it and be surprised by it." 2014 has been challenging for BlackBerry, though after significant cost-cutting and thus higher profit margins, it has been able to overcome a drop in revenues to post a profit of $23m (£14m) for the three months to the end of March 2014. It also launched and impressed with the BlackBerry Passport recently, showing strides in the right direction of recovery. 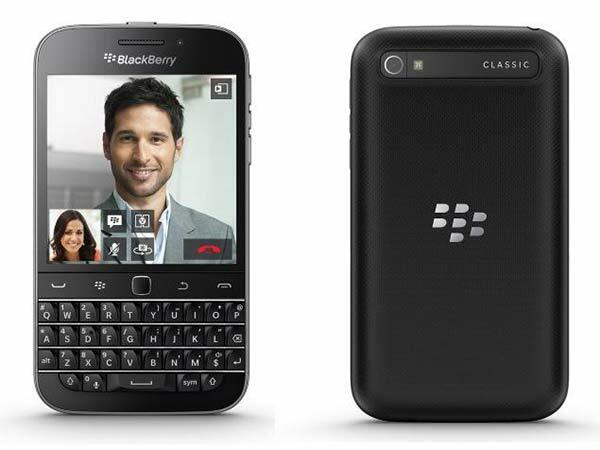 The Classic is on sale and available now on Amazon and BlackBerry's website. Canadian carriers Rogers, Telus and Bell will also hold limited stock before Christmas, whilst major US carriers Verizon and AT&T will be getting the handset shortly afterwards. Final nail in the coffin perhaps. Seems like a bad move. I had that when it was a new device and I did like it, but 3 years on and it a bit old hat now. tbh BB10 is a great phone OS, and there *are* people out there who want a physical keyboard. If there'd been a decent spec android phone in this form factor any time over the last two years I'd own one - since there hasn't been I own a BB Q5, which this looks to be almost spec identical too, except it's got the trackpad & buttons, where the Q5 hasn't. A last dying gasp, the company would have survived if the software side had been kept and it became the Blackberry app for secure comms with an alt OS to Android, alas it is not to be and we are left with people facing backwards driving a company headlong into its past, just like there is a market for Grandfather clocks in the digital watch era, everyone likes how they look but in practice cumbersome, hard to maintain, impossible to replace and impractacle and far more expensive than the mass produced clones of iphones. The fact that something isn't the latest trend doesn't mean it doesn't have a place, …. For me, though, price and availability will be an issue. As will, most emphatically, personal data security. I'm not forking out Apple-style money. And I'm sceptical as hell about my privacy on ANYTHING Android-related, for a reason I can sum up in one word - Google. Whom I detest. I could do with a new phone, emphatically at the budget end (so not Apple). Data vampire Google puts me off Android phones, and due to MSs stance over Win8 and MUI, I won't have a Win8 phone or tablet as a gift, never mind actually buying one.